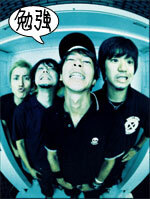 This punk rock group was formed in 1998, with their first indies release on 05/23/2001. In 2006 they would release their album "RIOT ON THE GRILL" in America as well as Japan. They would also perform some concerts in America the same year. In 2008 the group would agree to disband due to musical differences.